[The Cookie Elf File] Celebrate Spring With Lemon Bars! 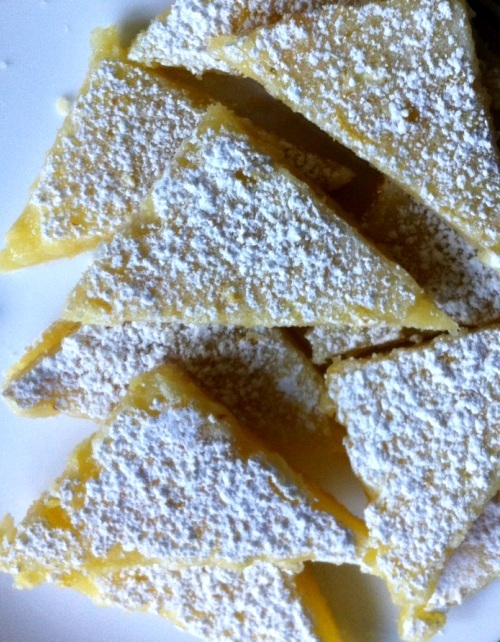 Welcome springtime with Lemon Bars! This iconic combination of tart and sweet in one bar cookie is made up of a shortbread crust and soft lemon-flavored filling. The bars are also attractive. Yellow filling contrasts stands out against dusted white powdered sugar, making the bars an especially light treat in the spring or summer or as a contrast on a tray of assorted cookies. Get the full recipe for Lemon Bars and some special baking tips from The Elf. Plus be sure to check out The Elf’s Bar Cookies Pinterest board for more bar cookie inspiration.